The monarch butterfly is in trouble. The butterflies were once a common site in our area – the middle of their migratory path to Mexico. But their familiar black and orange wings are seen far less frequently now. The U.S. Fish and Wildlife Service estimates about 970 million monarchs have vanished since 1990. The monarch looks to be headed for a listing under the Federal Endangered Species Act. Why is this happening, and what is being done to save the species? A monarch butterfly lands on a Seven-Sons flower bush at the arboretum in September, 2018. Scientists say the sharp decline of the monarch coincides with the depletion of the milkweed plant. Once the scourge of bean fields, ditches and well-manicured lawns, widespread pesticide use has largely eradicated the plant. Also, much of the butterfly’s habitat has become farmland. Nebraska has 17 species of milkweed, said Randall Gilbert, program director for Save Our Monarchs. The plant is essential to the monarch since it is where the butterflies lay their eggs and is the only food their caterpillars will eat. The toxicity of the milkweed makes the butterfly unattractive to birds, which keeps them safe from being eaten, Gilbert said. In Nebraska and Iowa, monarch refuges are popping up, including at several Omaha Public Power District and Nebraska Public Power District locations. 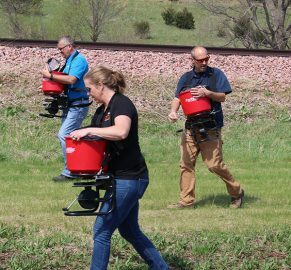 In spring of 2018, OPPD volunteers spread seed mix at a “Prairie in Progress” site near the utility’s Nebraska City Station (NCS). 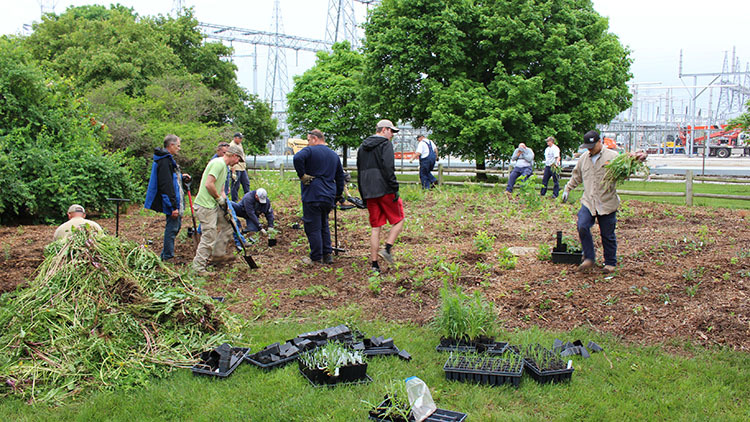 At the OPPD Arboretum in the heart of Omaha, 2,000 pollinator plant plugs were also installed for a pollinator garden. 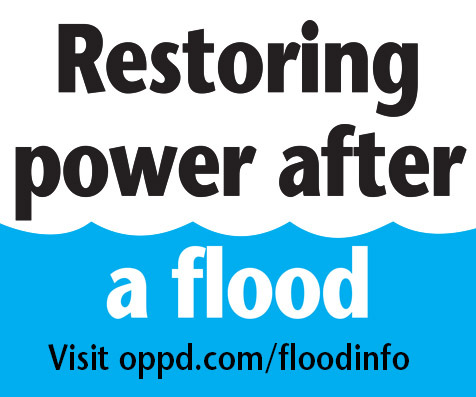 OPPD is also restoring parcels of land at the decommissioning Fort Calhoun Nuclear Station (FCS). Along with the habitats at NCS and the arboretum, OPPD plans others on property near 142nd and State streets and on 70-acres of prairie land at FCS. In all, OPPD plans on converting 260 acres into natural butterfly habitat, but will continue looking at other locations that could also be converted into prairie beyond what has already been identified. 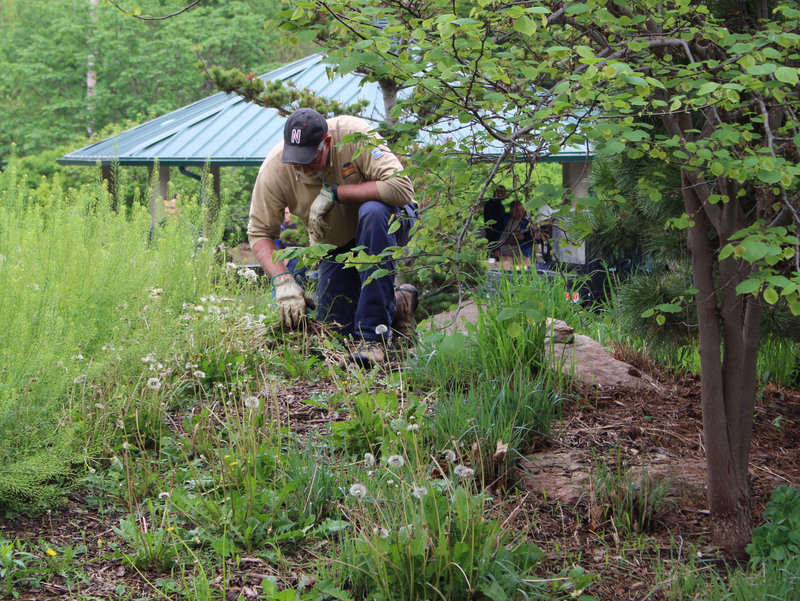 The project is a joint effort between OPPD’s Environmental Affairs and Facilities Operation & Maintenance departments and the Save Our Monarchs Foundation. Emily Muth, Environmental Affairs administrator at OPPD, said the transformation doesn’t happen overnight. It requires initial labor, but the prairie is a sound, long-term management plan once established. “If we can do something more to reduce our costs and yet promote biodiversity within our landscapes, it is a win-win for everybody,” Muth said. Gilbert said they planted a mix of 70 different grasses and wildflowers this spring. A good “structure” will be established within five years. Milkweed, golden rod and a few other plants are popping up already this year, he said. Gilbert has been working with OPPD officials to develop the prairie sites. 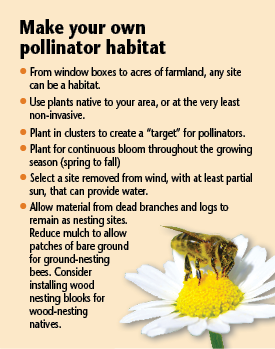 The process includes the right mix for ground-nesting birds, migratory birds, insects and pollinators. The plant’s root systems develop underground in the first year. By the second and third year, passersby will start seeing more plant diversity. June 18 is National Pollinator Week, which is meant to draw attention to the issue and celebrate the valuable ecosystem services provided by bees, birds, bats, beetles and butterflies like the monarch. 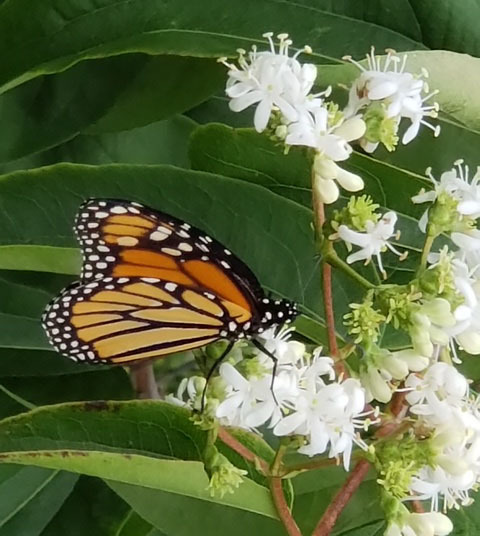 The arboretum’s pollinator garden also serves as a monarch “waystation” – a place monarchs can rest, recover and reproduce on their way to Mexico. There are thousands of these waystations across North America, Gilbert said. For OPPD, one of the advantages of the project is a fiscal one. The prairies don’t require as much mowing, which saves money for ratepayers, said Jim Fitzsimmons, supervisor of Facilities Operations & Maintenance. Signs at the sites explain how OPPD isn’t just letting the land go untended, but is letting native plants and grasses grow to create the habitat, he said. Bob Henrickson, horticulture program coordinator for the Nebraska Statewide Arboretum, said eastern Nebraska has only one-tenth of 1 percent of the prairie it once had. For him, places like the arboretum offer a glimpse, a “postage stamp,” of what our prairie once looked like. He said there are now more than 100 pollinator friendly gardens across the state like the one at the OPPD Arboretum. “The monarch is kind of this canary in the coal mine,” Henrickson said. “It’s a pretty butterfly that everybody recognizes. If they are in trouble, what else is in trouble that we don’t know about? Those involved with the project are optimistic their work will help the monarch make a comeback like the bald eagle and gray wolf. Hopefully, in the coming years, those beautiful black and orange wings will again be a common site everywhere. This is such an important project to save our Monarch butterflies, and I am proud to be an OPPD customer/consumer because of this and other ways OPPD works hard to maintain nature and our environment. I have always tried hard to plant perennials, especially those that attract bees and butterflies, although now I am less able to maintain such flowerbeds. I do have a small “forest area” that I have left alone with fallen trees/branches and overgrowth to encourage nature’s insects and animals. Keep up the excellent work, OPPD!! This is a fascinating story. I had no idea of the plight of the Monarchs, or the reason for it. Congratulations to OPPD for taking such a stong position and committment. It’s also a fit alternate use for the Fort Calhoon sit. As a Monarch-lover/supporter/educator, I am thrilled to learn about what OPPD is doing. Our state and its environment will be so much better for it. Thank you! I am glad to read about the Prairies in Progress Program.